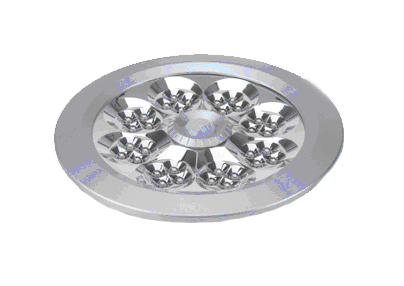 LED ceiling lamp uses LED as the lighting source making it energy saving and longer lifespan. 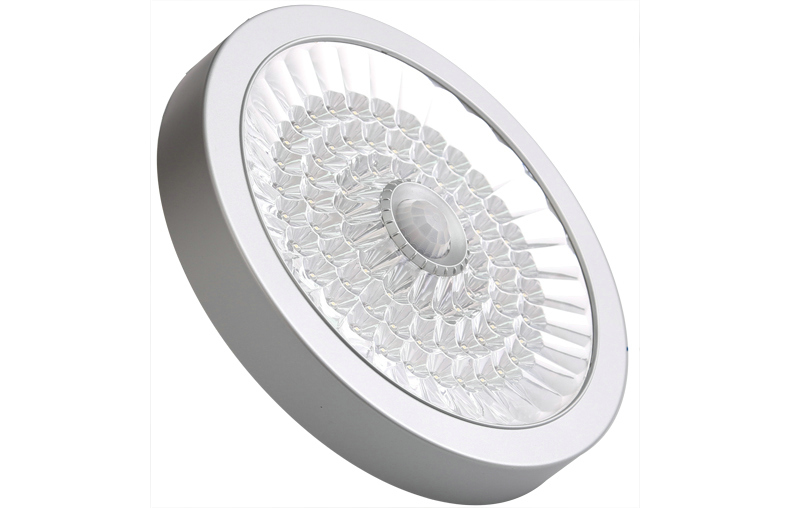 If you want to save even more, why not try out these LED ceiling lamp integrated with PIR motion sensor. These lamp will turn on lights only when there are motion activities. You don’t have to worry about forgetting to switch off lights. When you walks towards your room, the light will be automatically be switched on. These lamps are very suitable for storage room lighting. A place where it is seldom access. If lights are not switched off after use, it may be remains on for days or weeks without anyone notice. 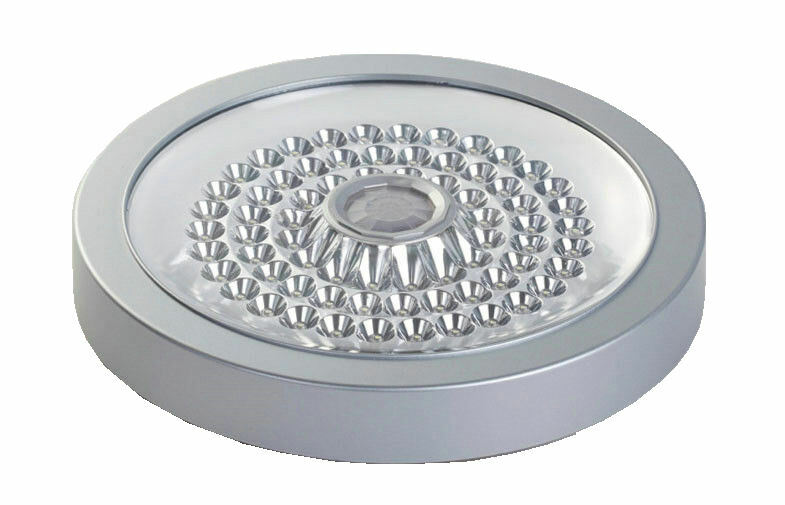 There are many other lamps that will be introduced below from various suppliers, designed for cabinet/cupboard lighting, garden/outdoor, corridor, night lamp, office/factory and toilet use. Many home user also like to install this motion sensor as a security sensor light to scare off burglars breaking into their house. The home is dark and quiet, with the light automatically on, it can scare off the burglars. An installation to deter and add home security. 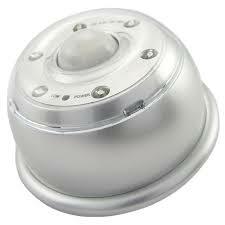 Wireless Motion Sensor Light For Furniture Use. 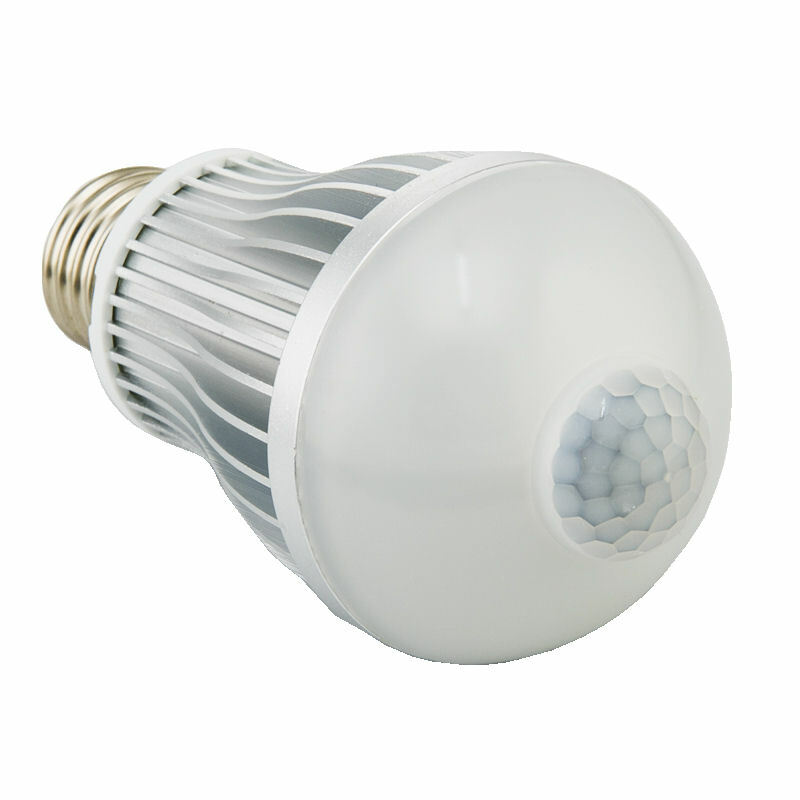 These LED lamp is small/portable suitable for cabinet or cupboard wardrobe lighting. Late at night when your family is still sound asleep, you can still look for your clothing or accessories without disturbing them. The moment you open the door, the sensor is able to detect your presence, and the LED light is automatically switched on. Lower powered LED uses little energy. Though battery powered, it will last you for quite a while. A number of these lamp also comes with a day light sensing. This means that if there is enough lights from its surrounding, the LED light will not be switched on, even if a motion is detected. This provides even more energy saving. Most home in Singapore uses E27 light bulb for their room lights. This E27 light bulb is designed with motion sensor build in. Simply buy the bulb and screw into your E27 lighting socket. You instantly got yourself a motion sensor-ed lighting. Of course if your socket comes with a lamp cover, then this bulb will not be suitable. The sensor need to be exposed, in order to sense the surrounding motion. The sensing height is about 4m, with sensing radius 4m. Sensing angle is about 140°. Suitable for most of the offices and homes in Singapore. This sensor lighting is suitable for night lamp use. It can be install by the side wall. During the night when you need to walk through the dark corridor to your kitchen or toilet, these light will be activated. Your walk path will be lighted up automatically, not very bright but with just light for you to walk through your darkness. 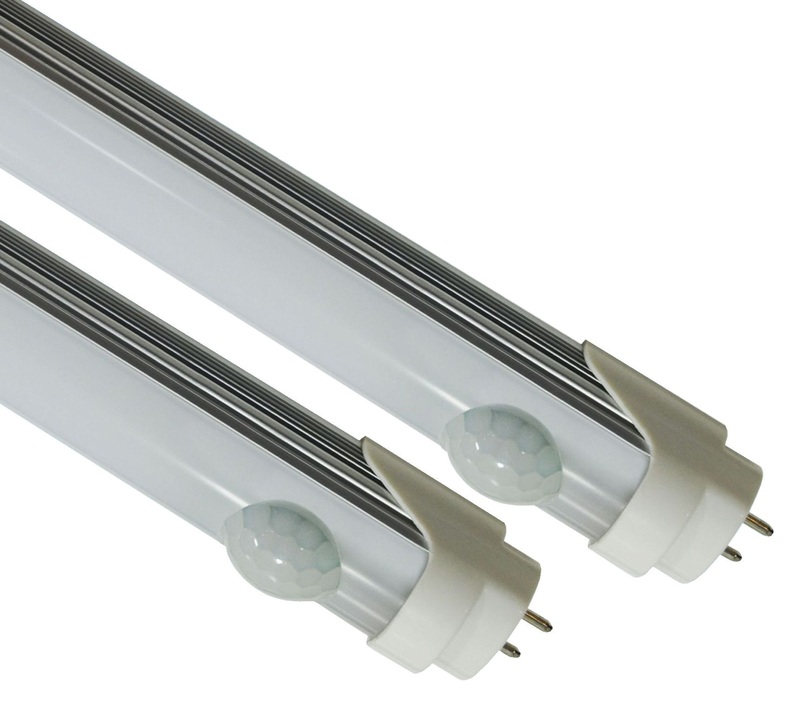 These are T8 LED tube fitted with the motion sensor. Many offices and factory in Singapore still use T8 fluorescent tube for most of the work lighting. Old T8 fluorescent tube lighting requires a magnetic ballast and a starter in order to light up the tube. Every time when these light are switched on, the tube will take a couple of seconds to strike and light up the tube. T8 LED tube works differently. They are electronically driven, and can be lighted up instantly. There will not be any flickering. This characteristic makes it suitable for motion activated application. 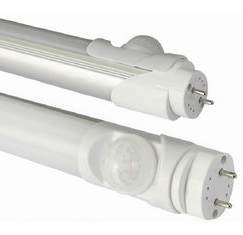 The T8 LED tube are design to be compatible with your existing fittings for T8 fluorescent tube. Installation is very simple. Just remove your fluorescent tube and replace it with this T8 LED tube. Unplug the starter from your existing fitting. Make sure that the power to this lighting permanently in the switch on position. 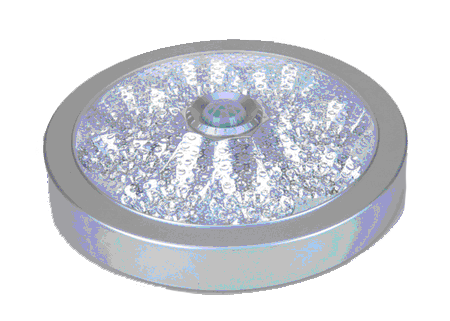 Your motioned activated lighting is now ready to be use in your office. The tube comes with a built-in sensor near the end of the tube. Ensure that the sensor is not obstructed for the motion sensing. The sensing distance is about 4m. If your office or factory ceiling is too high, then this product will not be suitable. There are alternative automated solution for high ceiling office and factory. You may like to contact the supplier for further recommendation. Most motion sensing lamp uses PIR sensor to detect the presence of user. 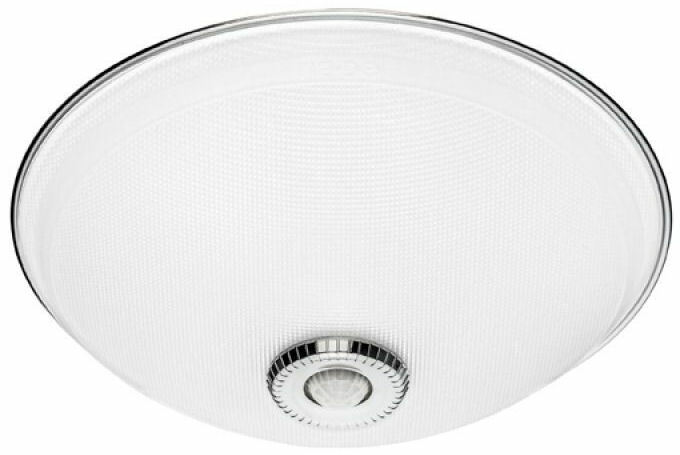 The PIR sensor appeared like a small dome like white plastic cover is required to be exposed so that it can sense the surrounding. For this lamp, no trace of sensor can be observe from the outside. This is because it is using a microwave sensor to detect the presence of user within the zone. The sensor is hidden within the lamp itself. On the outside it look nice like any typical lamp. The microwave sensor radiate out a very high frequency (wireless microwave). Any exterior motion will bounce the signal with a change in its frequency. This helps trigger the light on. Compare to PIR sensor, microwave sensor consume more energy. This product is available from NRS Solutions. 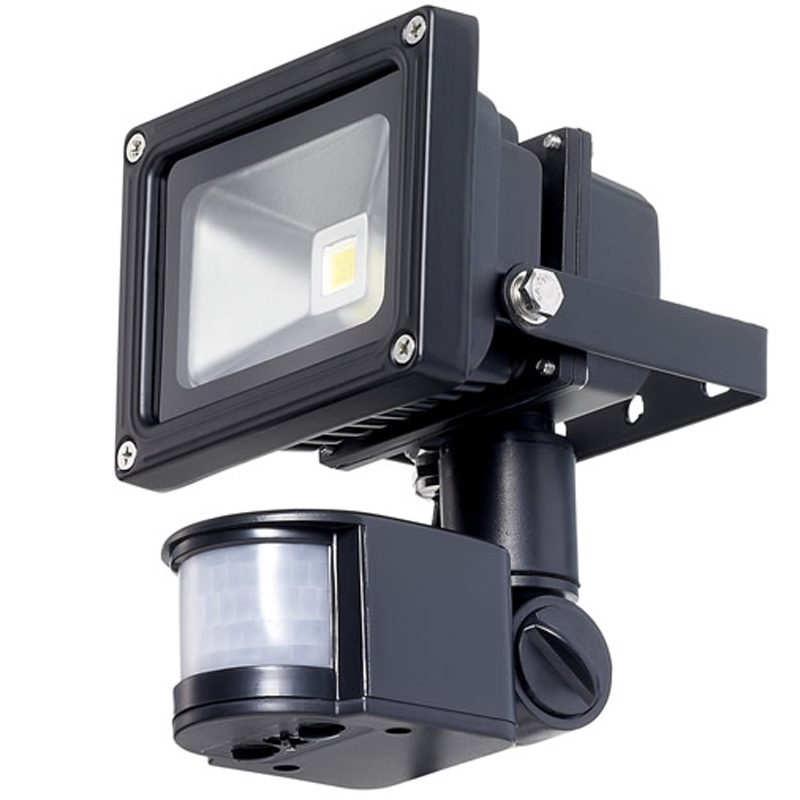 Motion Sensor Light For Outdoor Use. 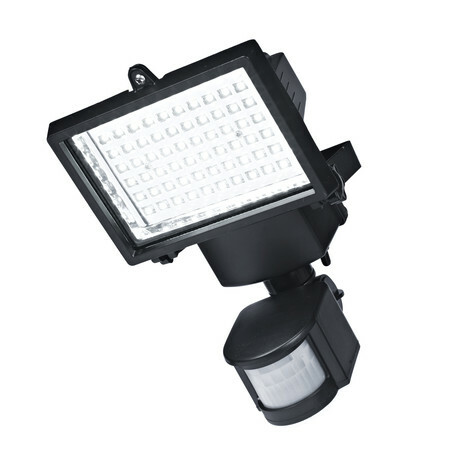 The LED light is of higher intensity helps brighten out the area with motion detected. When there is no longer activities at the outdoor, the lights will automatically be switched off after some time. This product is available from lights4fun and SUNSTORE. LED ceiling lamp with motion detection. This product is available from REXEL. 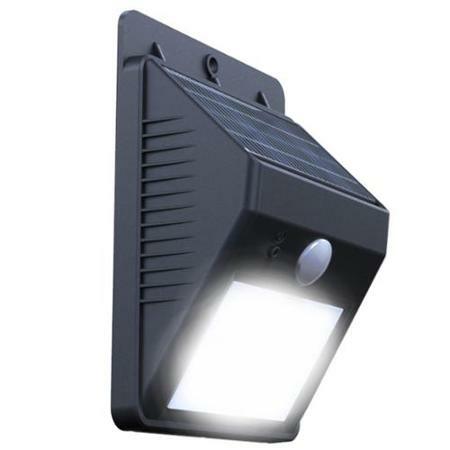 Solar Motion Sensor Light For Driveway or Garden Use. This is a outdoor wall installed LED motion sensor lighting. People walking along the outdoor passage will have lighted walkway as they walk in the dark. The lamp also comes with a solar panel which charges the battery during the day time. This product is available from Reusable Revolution. 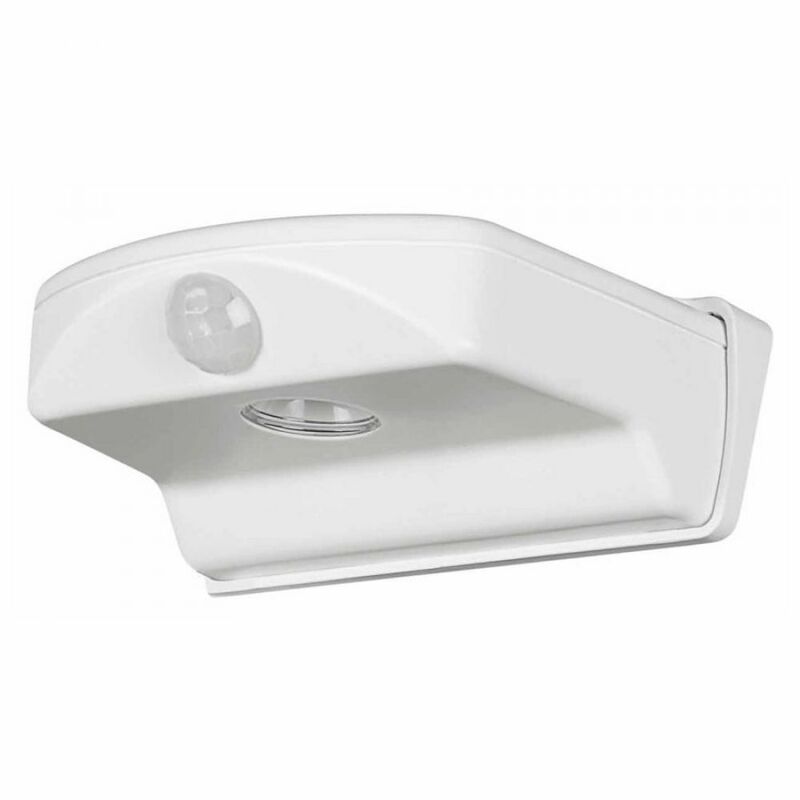 Motion Sensor Light For Storage Room or Toilet. These series of motion sensing LED Lamp consume very little energy when the lights is off. Power consumption is close to 0W. 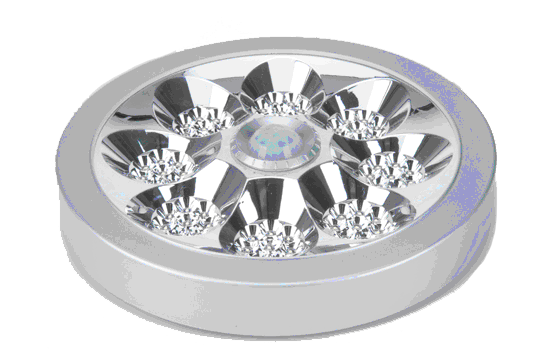 When activate, the LED light consume only about 4.5W. Typically installed in Singapore HDB store-room and toilets. The lights will automatically be switched on instantly when you open your storage room. After you are done with your things, simply close the door of your storage room, the lights will automatically be switched off after about 30-45sec (depending on the product model). The lamp also comes with a light sensor. This sensor helps the lamp to detect if it is day or night time. During the day time when there is sufficient light from the sunny day, the lamp is smart enough not to switch on the light even when there is motion detected in your toilet. 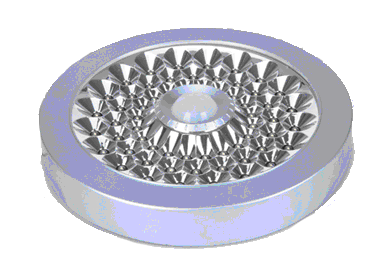 It will only switch on the LED lights when the environment is dark and a motion is detected from the lamp. 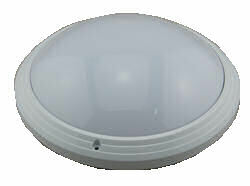 Motion Sensor Light Suitable For Outdoor Corridor Use. This lamp is similar to the round version above. It comes with another model series which instead of switching off, the light is dim. This feature is suitable for front door lighting, corridor, or walk way, where some lights is still preferred even when there is no one around. The dim light allows people to be directed to the main entrance, and when this lamp detects people nearby, it will automatically becomes brighter. More lights to illuminate the key hole on your door. The lamp also comes with a day light sensor. 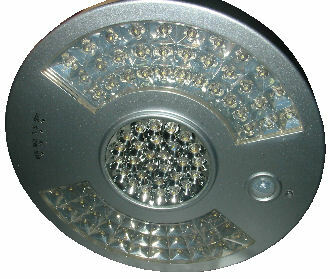 It there is sufficient light from the surrounding, the lamp will not switch on the LED even if there are motion nearby. This smart sensing helps to save even more energy. 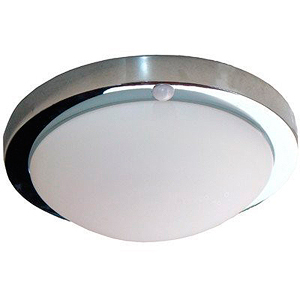 Recessed sensor LED light, mount flash with your ceiling. 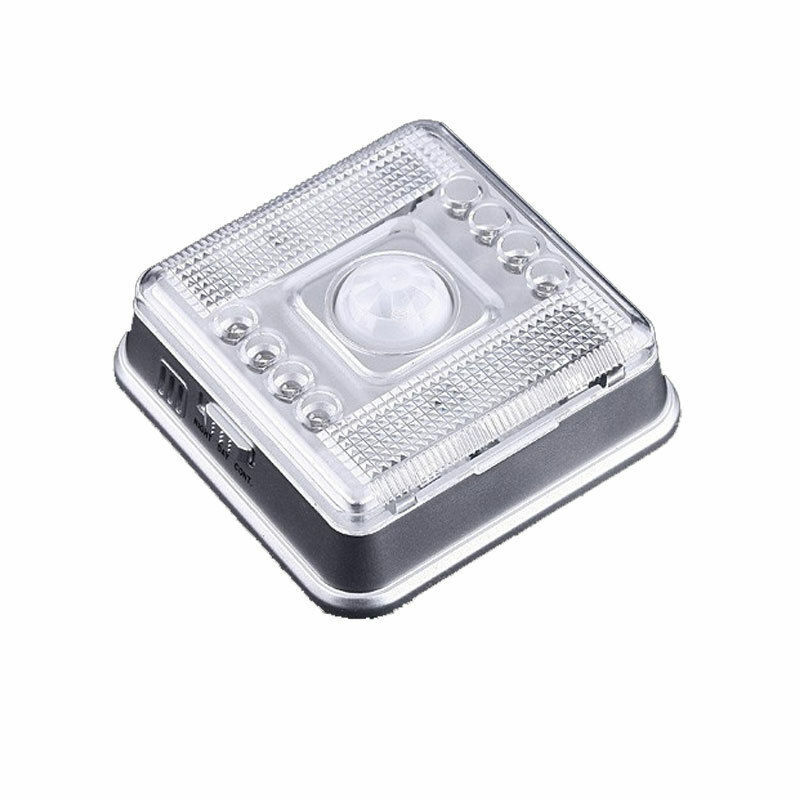 This is an emergency LED motion detection lamp. During normal days, it will function as a motion sensor-ed lighting. Works in the night time when there is motion detected. When there is a power outage (black out), the lamp will still continue to operate from a rechargeable battery built-in. The low power LED lighting uses less energy and helps to light up your place, even during a power outage event. Number one energy saving products for offices building and homes.